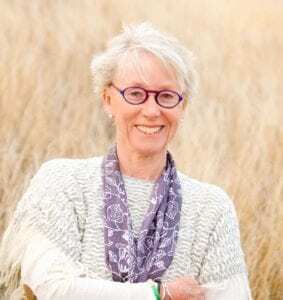 Lin Wilder holds a Doctorate in Public Health and has published extensively in fields like cardiac physiology, institutional ethics, and hospital management. In 2007, she switched from non-fiction to fiction. Her series of medical thrillers include many references to the Texas Medical Center where Lin worked for over twenty-three years. 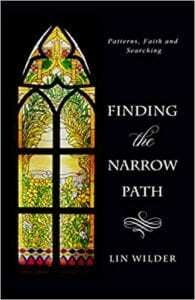 Finding the Narrow Path is the true story of why she walked away from - then back to God. 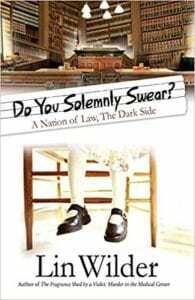 All her books are available at Amazon, Barnes & Noble and at her website, linwilder.com where she writes weekly articles. 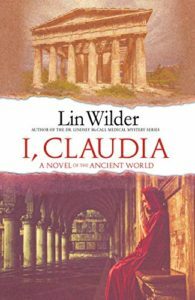 Read an excerpt of Lin's latest book, I, Claudia. 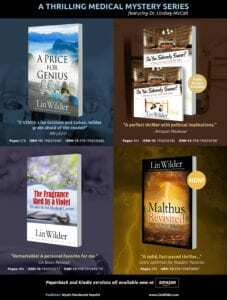 Visit Lin Wilder's Website to learn more about all of her books. 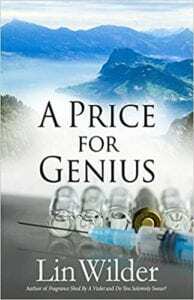 The fourth novel in author Lin Wilder's popular Lindsey McCall series, Malthus Revisited combines the innovative medical research with a new and terrifying threat to the world's population that is a biological time bomb. 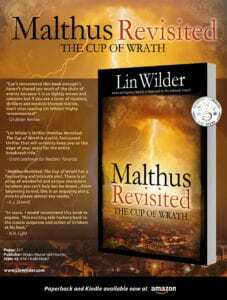 Malthus Revisited adds a dystopian element to the evolving Lindsey McCall mystery series. When an underlying premise and theme that could be plucked from tomorrow's newspaper headlines, Malthus Revisited is superbly crafted and reader riveting read from cover to cover. While especially and unreservedly recommended for community library Contemporary Fiction collection, it should be noted for personal reading lists that Malthus Revisited is also available in a digital book format -- Kindle, $7.99. This is the 4th book in this series that features Dr. Lindsey McCall, a medical researcher. She is an amazing character and I highly recommend starting at the beginning. There are several references here that pertain to the previous stories. This time around, in addition to the medical research... which is explained in terms that mere mortals like me can understand easily .. she and her husband are threatened by an enemy of the past... someone who is threatening the world with a horrific disease. She is reunited with her biological daughter, LJ, who she gave up for adoption. LJ's best friend, Morgan Gardner plays a huge part of this story. She has a secret .. one she is scared to tell anyone about... except for Dr. McCall. She hones into what is happening to the patients who are being given the threatening virus in an attempt to destroy the world. 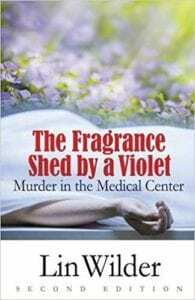 Each one of this author's McCall medical mysteries gets better and better. The characters are flawless in their descriptions and the story premise is, not only well-written and detailed, but quite credible. "A dystopian novel that is the perfect example of a thriller and a mystery all rolled into one. This is the fourth novel in the series; however, I had no issues with catching up or finding my rhythm. The novel follows multiple story lines, but the author handles them with great care and artistry. Lin Wilder did an amazing job in showing different stories and making them all connect perfectly. Fast paced and tremendously developed, the story is riveting. The novel has compelling characters, especially Lindsey and Morgan."